Bargain and Cheap Wakeboard Gear with discount Bindings Wakeboarding Packages Impact Vests all at Cheap prices, Here are our Clearance deals from Liquid Force, O'Brien, Jobe Hyperlite Ronix and more. This is where we list our Cheapest stock Clearance deals, Rummage through and find a great deal on all Kids Ladies and Girls wakeboaring gear, with Mens wakeboards Bindings in big and small sizes, these are the lowest priced gear we have and the biggest discounts in the UK and Europe. Liquid Force Snake Charmer Boardshorts in Pink, Size 8. Liquid Force Lace and Lock Kit for Wakeboard Bindings - thin lace with locking clip. Liquid Force Morning Walk Walkshorts in Brown, Size 8. Liquid Force Lace and Lock Kit for Wakeboard Bindings - thick lace with locking clip. Liquid Force Morning Walk Walkshorts in Green, Size 8. Liquid Force Super Trip| GTX Wakeboard Package LF Super Trip All Terrain Wakeboard 136, and O'Brien GTX Wakeboard Bindings UK 5-7. All abilities 90-170 lbs/40-77 kg. Liquid Force Morning Walk Walkshorts in Blue, Size 8. Liquid Force Slate Boardshorts in Black, Size 6. 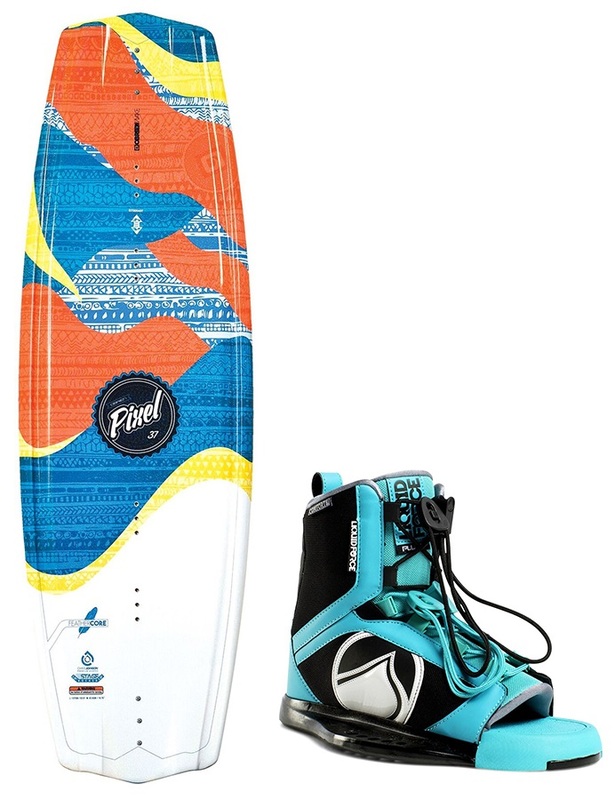 Liquid Force Super Trip|Transit Ladies' Wakeboard Package - Super Trip Wakeboard & Transit Wakeboard Bindings. Intermediate-Advanced riders 90-170lbs/40-77kg. O'Brien Indie | GTX Wakeboard Package O'Brien Indie Cable Wakeboard 136, and GTX Wakeboard Bindings. Ideal for the Allround Rider 190-170lbs / 41-77kg. Liquid Force Slate Boardshorts in Purple, Size 6. Liquid Force Morning Walk Walkshorts in Grey, Size 8. Liquid Force Snake Charmer Boardshorts in Green, Size 8. Liquid Force Slate Boardshorts in Turquoise, Size 8.